A Pleated Horizon began as a daydream about lines radiating outward from a chain as it passed around a sprocket. 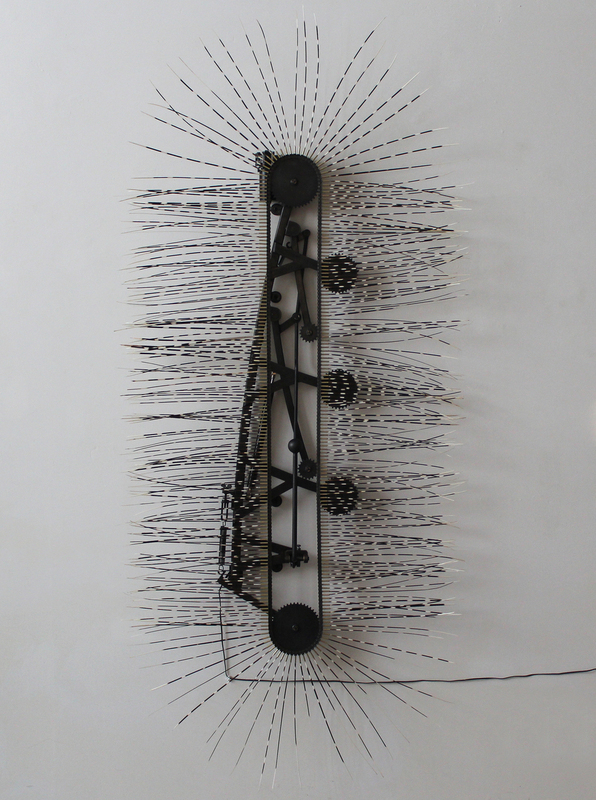 My interest in merging mechanical devices with natural materials transformed this daydream into the work you see here: 300 porcupine quills traveling around a special type of roller chain which is operating in a vertical loop. Pulling the lever in the center of the frame causes the loop to be pushed out in two places. 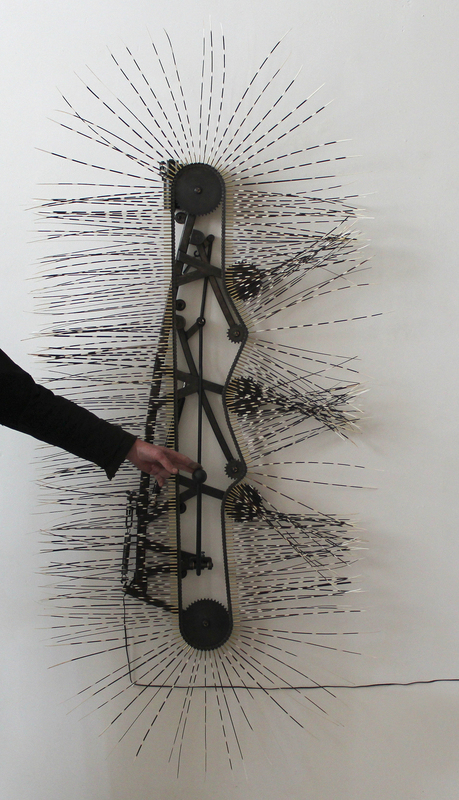 The quills, radiating out from the frame, break apart and are pressed together as they pass around the sprockets of the frame. 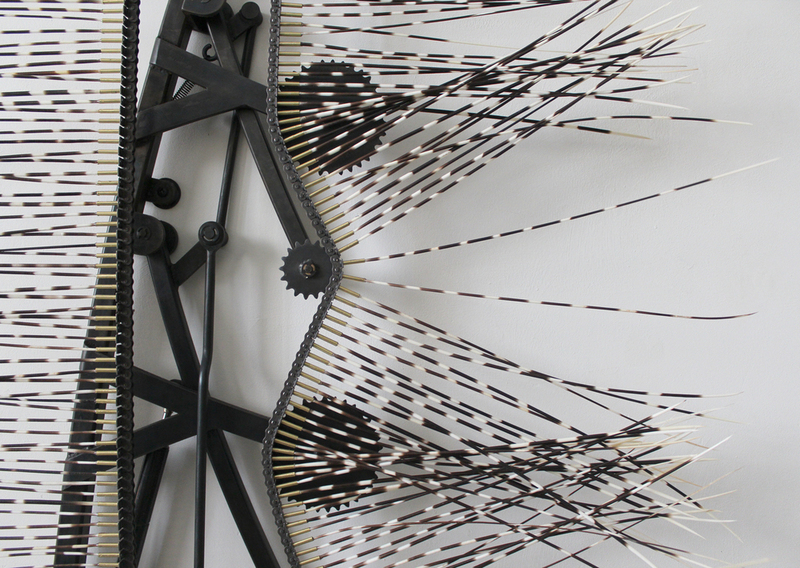 The visual pattern of the quills all traveling together around the loop, then breaking dramatically as they pass over and under the sprockets, is what interests me about this piece.